So, you pull your credit one month during your normal process of credit monitoring, and you notice the worst possible scenario – you see accounts opened that you know for a fact that you did not open. You have become the victim of identity theft. Now, while your first reaction may be to panic and start making phone calls to the credit bureaus and to the police, but the moment you find out that you have fallen victim to an identity theft scheme, the actions you take can have grave implications in your quest to recover. In our earlier series on identity theft, most posts have focused on preventing the crime from happening to you in the first place. However, it is also very important that we provide our readers with practical, useful tips to stop ID thieves dead in their tracks, prevent any future incidents from occurring, as well as how to recover and restore your good name. It is very important to understand that recovering from identity theft completely takes a good bit of time – sometimes even years. Step One: Shut ‘Em Down! Once you realize that someone is using your identity and credit to enrich themselves at your expense, the first thing you must do is go into “identity lockdown,” where you stop or limit that ability of anyone to open a credit account in your name altogether. This is a targeted approach that you have to take across several different agencies. You will want to focus on locking down your identity itself first, followed by your accounts with the consumer reporting agencies (the credit bureaus). Of note, this will make it difficult to open a credit account in your name for everyone, even yourself. So, if you have an account that you wish to open, do it before you go into identity lockdown. However, you should really consider not applying for or opening any credit accounts during this time period anyway, as you are going to spend a good amount of time correcting recent errors on your file anyway, so opening up a new account during this time is not advisable. File an Identity Theft Complaint with the FBI’s Cyber Crime Division. When it comes to identity theft, the FBI has its own dedicated union that receives and investigates allegation and incidents of identity theft and other cyber-crime offenses. You will want to read their report on identity theft first and then file an identity theft complaint with their dedicated unit, known as the IC3. Once you have done this, you will be given the option to print the notice you have just filed. While you should print a few paper copies, it is also a good idea to use the “Print to PDF” feature, which is built into Windows 10. This way, you will have a digital copy of the report to submit to the credit bureaus and to creditors that have opened fraudulent accounts at the request of your impersonator. Some police departments allow you to file police reports for nonviolent crimes, such as identity theft, from their website. To find out if your local department allows this, you can go to their homepage and look for a button or link that says “file a complaint,” or you can to go Google and types “file police report online [city name],” and you will likely be able to find out if this is an option for you. If it is not, you should call your local police department’s non-emergency line and ask for an officer to be sent out to your location so you can file the report in person. If you were able to file online, follow the same “print to PDF” feature as with the FBI report as well as print a few master copies for yourself. If you are not able to and must rely on a physical police officer taking the report, ask him/her for the report number. In about 3-4 days, you can contact them and request a copy of the final report. This report, coupled with your FBI report, constitute everything you need to begin to take your name back. The final step in an identity lockdown is freezing your credit altogether. You do this by contacting the credit bureaus directly and telling them that you are the victim of identity theft and you want to freeze your credit. There is no charge associated with freezing your credit anymore, thanks to a new regulation that went into effect at the end of September 2018, so you don’t have to worry about the fees that were formerly associated with thawing your credit after freezing it. Be sure to save this information for future correspondence as well, such as submitting disputes later on. In the event that you get a live person on the phone, go ahead and let them know that you have the FBI report and your local police report. If they want it now, go ahead and ask for their fax number as well and fax it to them. You will be doing this in a later step as well, but because large agencies have a habit of conveniently losing important documents, submitting it more than once increases the chance that it makes it where it needs to go. Make sure to keep a log of all interactions with the agencies as well as date/time for your police/FBI report filings. As a matter of fact, keep a log that journals every step in the process. It may take a little bit of time at first but will be a great point of reference later in the process if you run into trouble along the way. Go to the Department of Motor Vehicles, Social Security Office, and Vital Statistics. Many people miss or neglect this step when starting on a recovery journey for identity theft. However, because obtaining credit is not the only thing that ID thieves use your name for, it is a vital step to take. Who knows, if the criminal has obtained a duplicate license in your name, they could be out committing crimes, and when the arrest warrants are issued, they will be issued to you, which could possibly land you in jail until the matter is resolved. 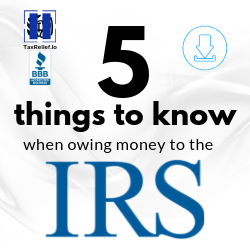 They could also be working under your name, leading to problems with IRS when it comes time to file your taxes. So, to start, you should visit your local Social Security office and Vital Statistics office for your county. Here, you will simply want to find out if duplicate birth certificates or duplicate Social Security cards have been issued. If so, you know that the person is going for more than just your credit, but is in the process of stealing your identity to live under your name as an assumed identity. Usually, to get copies of these, the requesting party has to fill out paperwork that includes their address and phone number. This is where many ID thieves slip up, and even while acting like you, enter their correct address. So, if a recent birth certificate was issued, show you ID theft reports from the FBI and police and ask to see the paperwork that was filled out. Here, you can see if an address was written that you do not recognize. If so, call the detective working your case and provide him/her with this information. Next, simply take your police and FBI reports, along with your driver’s license or identification card, as well as birth certificate and Social Security card to the DMV and ask to speak to a supervisor. Explain what is going on; specifically, how you uncovered identity theft and are in the process of stopping it and recovering from it. Ask the supervisor to look at your record to verify that the photo they have is a photo of you. At this point, if the photos match, simply have the DMV supervisor follow the appropriate procedure for ID theft victims. Many times, this will include issuance of a new ID with a new ID number on it along with internal notifications that the old number is linked to and is likely being used in identity theft crimes. However, if the photos do not match, to the point to where the thief has entered the DMV with your personal documents and was able to get a state-issued ID in your name with their photos, the police will need to be notified again. At this point, they will be able to use the photo of the individual to try and identify who he/she really is, and if they are successful, a warrant will be issued in that person’s real name with your name as a stolen alias. At this point, you will have put a stop to the criminal’s potential to open any new account in your name that requires credit bureau pulls; as well as any legal documentation in the future that would help to validate the stolen information. You may have also been able to provide investigators with an address and photo of the thief, depending on how far he/she has taken the crime. This could potentially lead to their arrest sooner rather than later. Step Two: Pull ALL of Your Credit Reports and Get Ready to Repair. The next major step in recovering from identity theft involves careful examination of each and every version of your current credit report. So, utilizing services such as Experian’s free report offer and Credit Karma’s ability to pull both Equifax and TransUnion reports in full, get copies of each report – not just the overview, but the account detail, in full. The option will have a button with the text that reads “view entire/full report” or something similar. So that you can view each of these side-by-side to look for any accounts that shouldn’t be there or that you do not recognize, we recommend that you print out each report on paper. This way, you can make notes in the margins, highlight, or underline/cross out anything that needs attention. It is a good thing to remember that you are not using these reports to look for things to dispute – that comes at a later time – but rather, you are looking for accounts that you know for a fact that you have never had. Once you have identified any accounts that you know you did not open yourself, it is time to start the process of getting them removed from your credit file. During the process of accessing your credit reports online, you will be presented with the option to “add a comment” or “add a consumer statement” to your credit report as well as to any individual accounts. Choose this option and make a statement that you have been the victim of identity theft and that all creditors should. Step Three: Notify Creditors of Fraud and Dispute Accounts with Credit Bureaus. At this point, you have already identified fraudulent accounts, placed a freeze on your credit, and notified the police, FBI, DMV, Vital Statistics, Social Security Administration, and credit bureaus that your identity has been stolen. So, your next step needs to be calling the companies that issued the credit and notifying them that they issued the credit to an identity thief. This can be handled via telephone at first, but we always recommend that you send a letter that includes copies of your police and FBI reports. This way there is solid evidence in their hands from which to work, as well as correspondence that they can reply to, notifying you that the accounts have been closed and removed from their accounts receivable list. During this step, you are doing exactly what you would be doing during a credit repair step, in which you dispute items that are incorrectly reporting. However, in this process, you are actually reporting evidence of a crime. Therefore, if you have any items on your credit report that need to be disputed for accuracy/validity, you can feel free to do it at this time, but make sure that you keep these separate from the ID theft letters as well as keep separate logs that document the steps you have taken. The process can become a bit confusing, especially if you are new to the world of credit reporting, so we usually recommend that you complete identity theft disputes at a separate time than disputes for accuracy. However, if you are sure that you can keep up with everything, there’s nothing wrong with taking care of both types of disputes at the same time, and if you are capable of doing so, you can save yourself some time and headaches down the road. Once you have notified the agency that they are holding fraudulent accounts in your name, they should immediately shut the accounts down, especially after receiving the police/FBI reports. It is also likely that they would have the correct address for the ID thief, so providing their contact information to the detective working your case could help them to find/identify the person faster. Even if the creditors agree to delete the file from your credit report as well as close the account immediately, you should still send a paper letter that explains that you are the victim of identity theft, that you are aware an account was opened illegally in your name with their company, and that demands their immediate closure of all accounts held in your name. This will provide you with evidence in case they continue to keep the account open and you need to sue in court later on. Step Four: Keep Monitoring Weekly for the Next 6 Months. While we usually suggest that you take a look at your credit report at least once a month, some people already get into the habit of checking their credit weekly, especially once they have started using free monitoring tools like Credit Karma. However, when you have been the victim of identity theft, it is imperative that you keep a keen eye out for unexpected changes to your credit reports. Keep an eye out for new accounts, which should never be opened while your credit freeze is in effect. However, this does not mean that accounts that were previously unreported at the time you noticed the ID theft cannot report the accounts when they become past due. If this happens, follow the same procedure in Step Three above to notify the newly reporting creditor that they are holding a fraudulent account. During this time frame, it is very possible that you will have to do this several times, so the key here is to make sure that you check your credit and monitor it for unknown/unauthorized accounts reporting. Once you have checked it weekly for 6 months or so, you can lessen the frequency to bi-weekly, which we suggest you do for an additional year. Once you have completed the process, or at any time during the process, it is a great idea to sign up for a third-party identity theft protection service. Credit Sesame offers a free service that monitors your credit report and certain deep, dark places on the internet for your information being sold or used by people other than you. It is completely free, but they also offer a premium version with advanced features. The free version covers you up to $50,000 if your identity is stolen during the time you are a subscriber of their service, while the premium version offers a higher amount. Other services, such as LifeLock, offer fee-based protection that covers you for up to $1 million in the event that their services fail to catch your identity from being stolen, and they offer very expansive services relating to scanning the hidden portions of the Dark Web for your name, date of birth, and SSN being listed. Whoever you choose, you should do so based on your needs – including the severity of your losses due to the theft, the amount of business you conduct online, and the strength of your credit as a whole. Either way, it is imperative that you do select an ID theft protection service to keep this unfortunate event from happening to you in the future. Furthermore, you may find this whole process to be out of your realm of specialty and may want to hire a professional that deals with inaccurate credit reports due to many different reasons, including identity theft. At 760Credit, we can assist you in getting your credit and your good name back on track after falling victim to identity theft. Credit repair organizations, such as 760Credit, can do the hard work (such as the steps outlined above) for you and can do it right the first time and every time after that, if such attention is necessary. To speak with one of our credit repair specialists to help create a strategy for your specific situation, you can contact us on our website or call us at 510-877-0760. In the end, recovering from identity theft is not easy and it sometimes takes several rounds of the same steps in order to catch everything that was done in your name without your consent. If you are somewhat skittish about taking on such a task on your own, you can use a credit repair organization to assist you in recovering from identity theft while also taking care of other negative marks on your credit in the process. Product Link: Credit Sesame Free ID Theft Protection. From https://www.creditsesame.com/product/identity-theft. Should You Apply for Credit with Your Spouse or Partner?